As an educational and celebratory culmination to the geology module, we went on a geology-based camping trip to the Koobi Fora region, particularly close to where Richard Leakey established the Koobi Fora Base Camp in 1968. 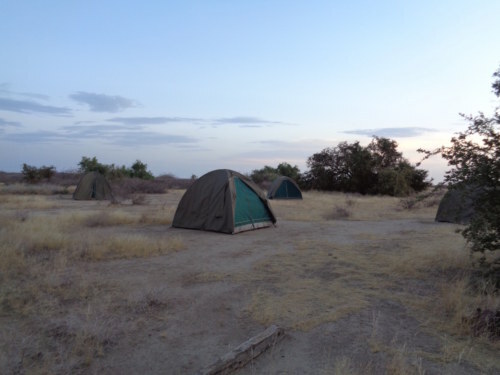 In the early 1970s Richard and Meave Leakey led a crew of hominid hunters in this area, with operations largely operating out of this camp during their incredibly successful time investigating the Koobi Fora area. 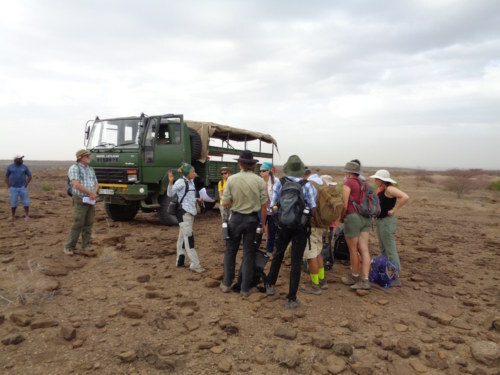 Further, research in this area continues to this day under the Koobi Fora Research Project! 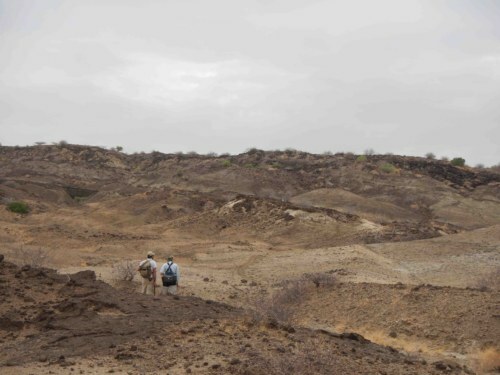 This area has been very important for its magnificent fossil record: both hominin and other important vertebrate discoveries have been found in the greater Koobi Fora area. 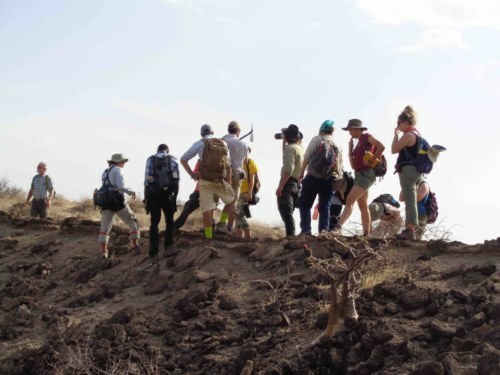 Though the importance of the Turkana Basin concerning paleontology had been apparent for quite a while, before 1968, no research had been conducted on the east side of Lake Turkana. 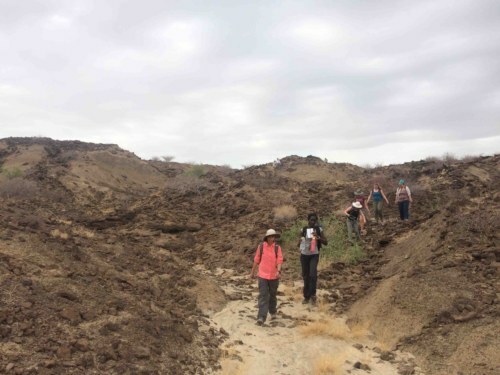 It wasn’t until Richard Leakey saw the area by plane on his way back to Nairobi from research in the lower Omo River valley that he saw terrain that looked similar to other paleontological areas and decided to explore further. 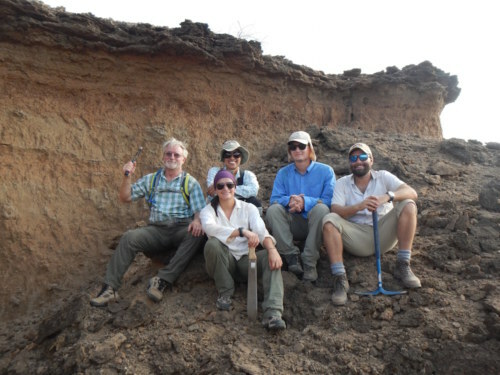 With his crew of hominin hunters and colleagues, they discovered the magnitude of what laid exposed in the region due to faulting and erosion. 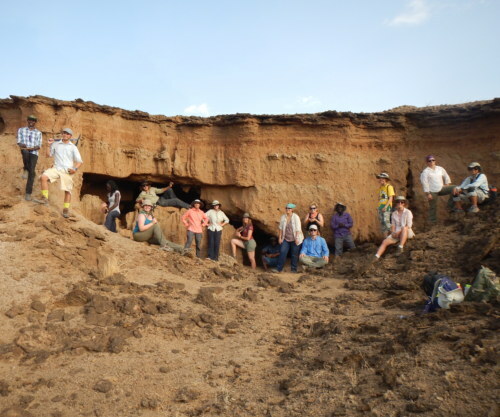 Since their pioneering excursions, an abundance of hominin fossils have been discovered: Homo habilis, Homo ergaster, and Homo rudolfensis, as well as Australopithecus boisei and Australopithecus anamensis have all been unearthed here. 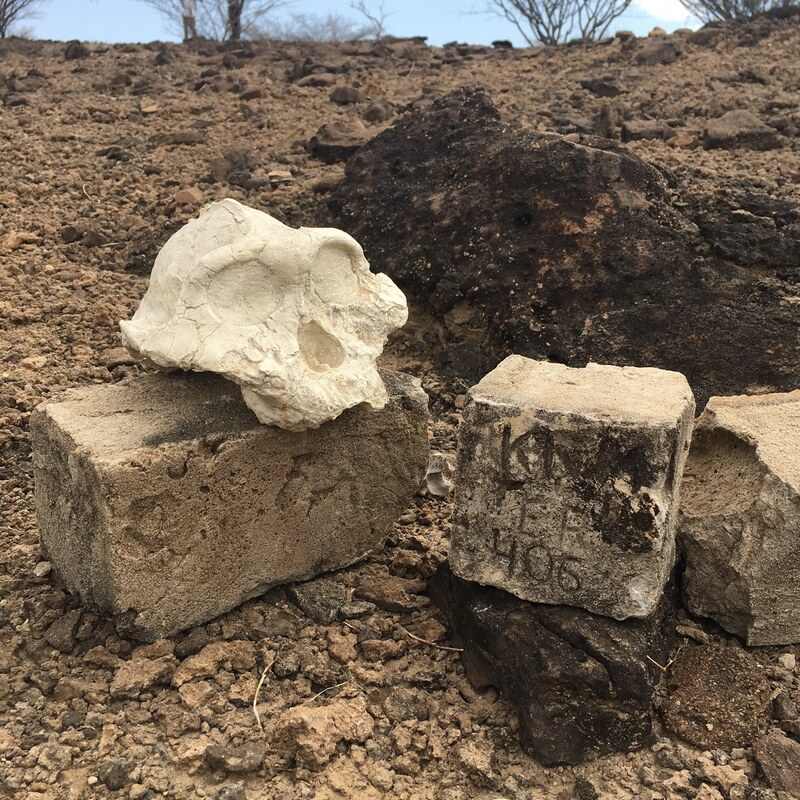 Further, clues to early hominin behavior have been found in the form of stone tools, of both the Oldowan and Acheulean industries. 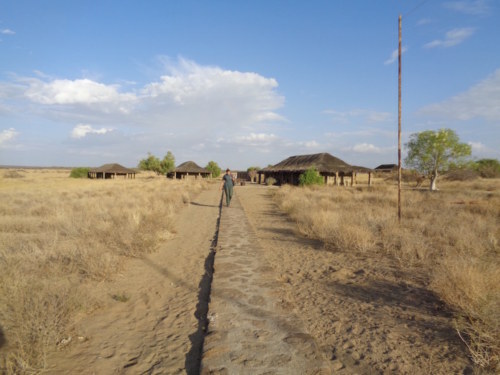 Koobi Fora Research Camp; Danielle walking towards the lorry. 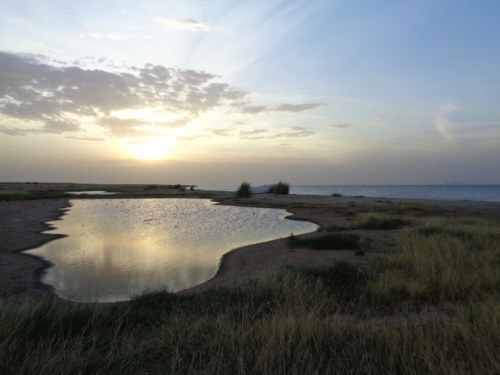 The beach at Koobi Fora Research Center, at sunset. 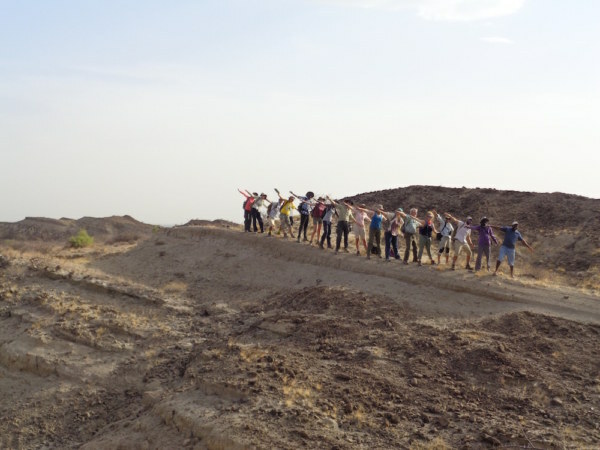 Fortunately, Koobi Fora is only a few hours drive from TBI-Ileret! 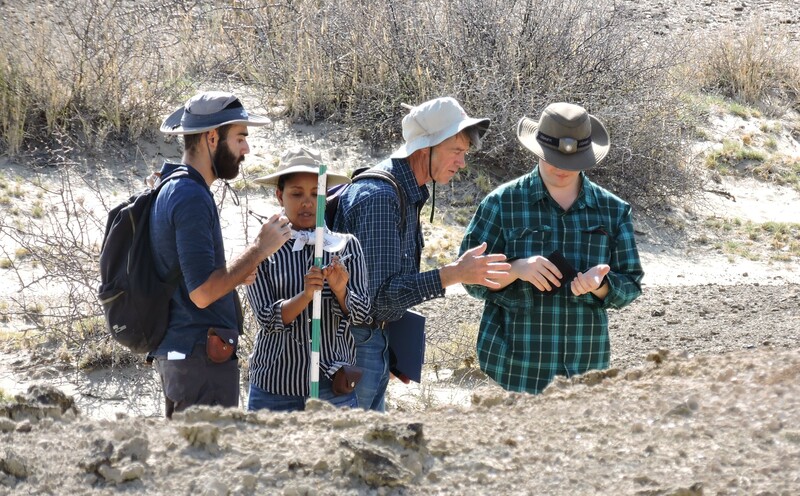 After about a week and a half of intensive geology, we were ready to spend time in the field where it all began, using our new-found talents to understand a geologic area where many of our long-lost ancestors have been found (and many more are waiting!). 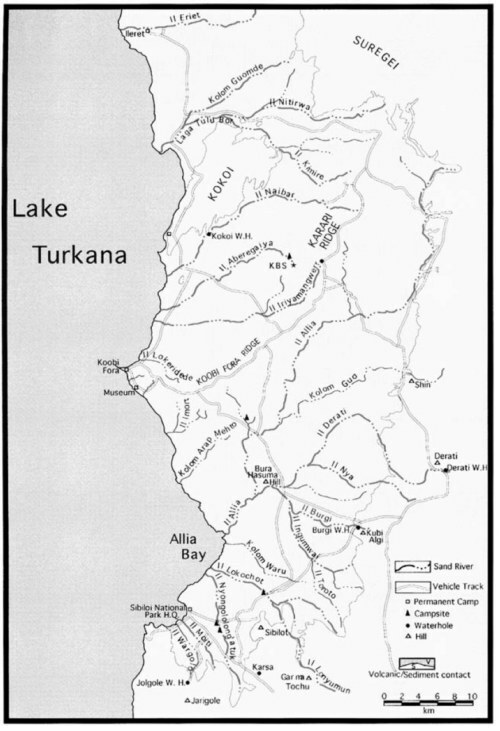 In 1973, Sibiloi National Park was chartered, with the Koobi Fora area constituting a significant portion of the park. 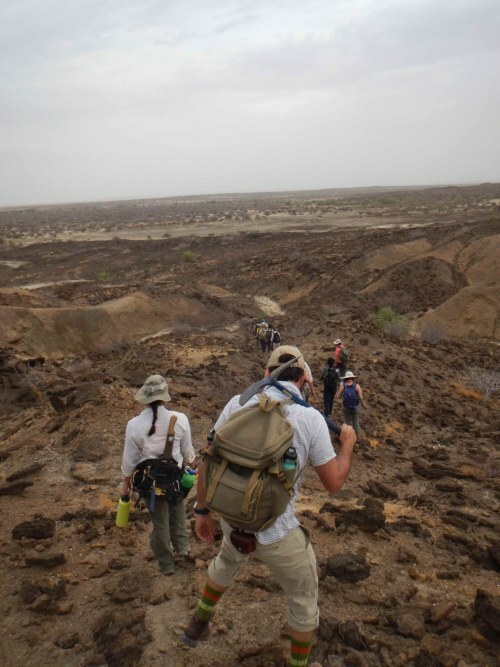 As such, our route to Koobi Fora took us through the park, wherein we made a few brief stops for both geologic and aesthetic reasons! 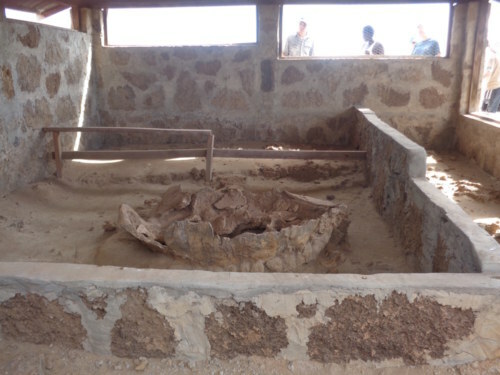 A fossil tortoise on display, in situ. For scale, note the students in the background; this shell is enormous! 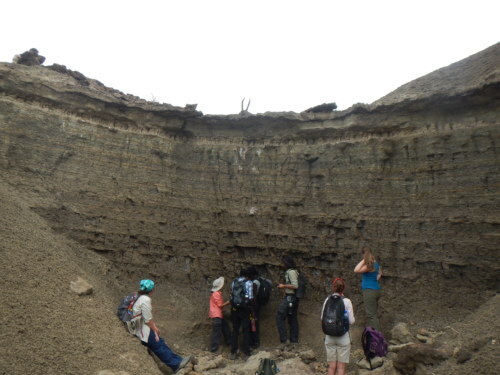 Our next stop was to examine ~ 1.8 Ma Lacustrine deposits from paleo-Lake Lorenyang. 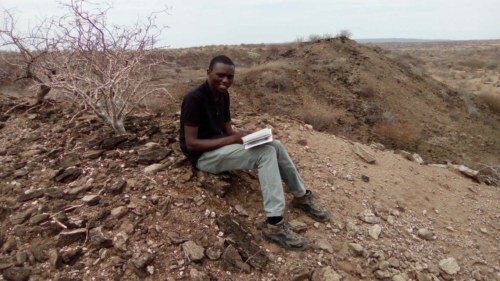 During this period of lacustrine deposition in the Turkana Basin, there were multiple changes in lake levels that are believed to be the result of 20,000 year changes in regional climate. 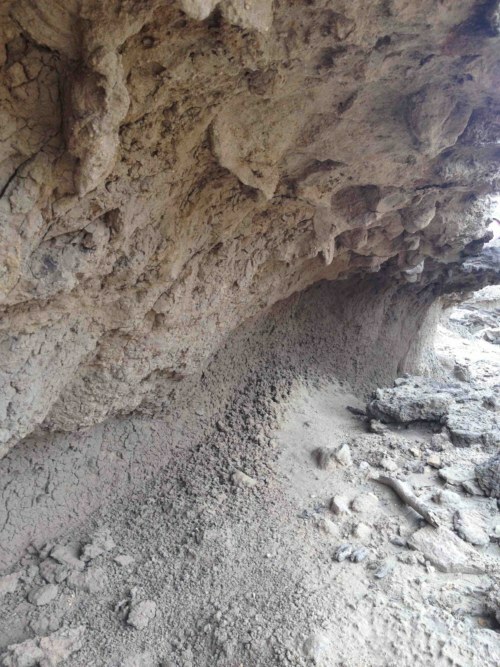 This cycle, called Precession, caused greater solar insolation in the equatorial region and strengthened the African monsoon system and as a result, increased precipitation and lake levels. 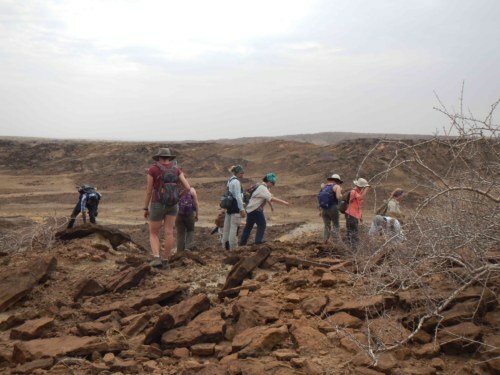 The top of this outcrop has stromatolites. 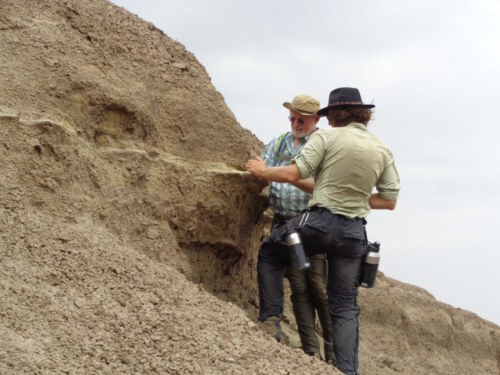 Professor Martin discusses the trace fossil bivalves that are preserved along this ledge. A closer look at the trace fossils. 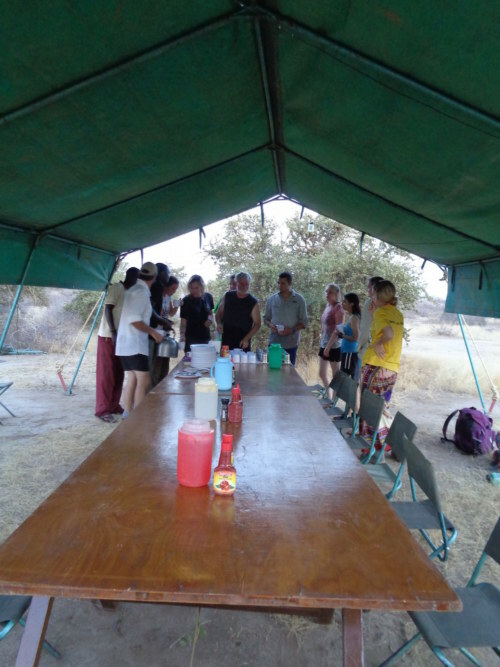 Students and professors alike gather for tea after a day in the field. 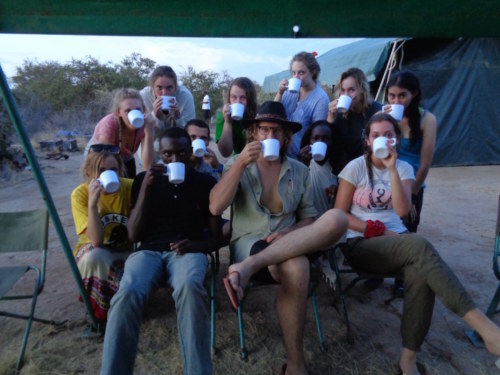 After just a few short weeks, the students have been officially inducted into Kenyan tea culture! 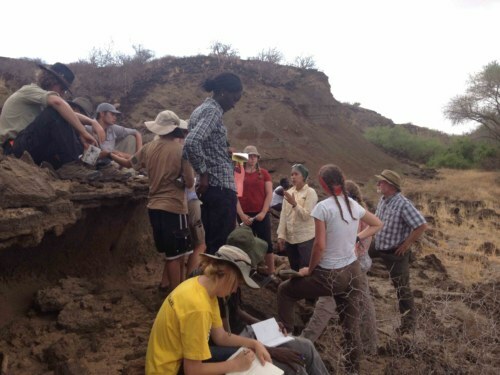 Professor Martin discussed the geology we would be descending into. 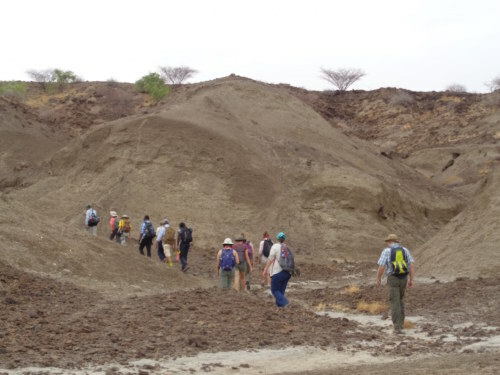 The students pick their steps carefully as we tackle this steep hill covered in weathered bed of molluscan carbonate. 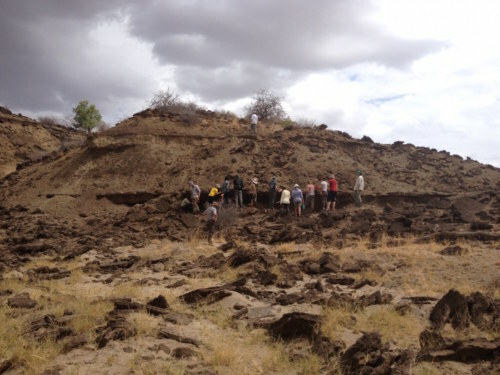 Dr. Henkes follows the group with his paleo-pick. 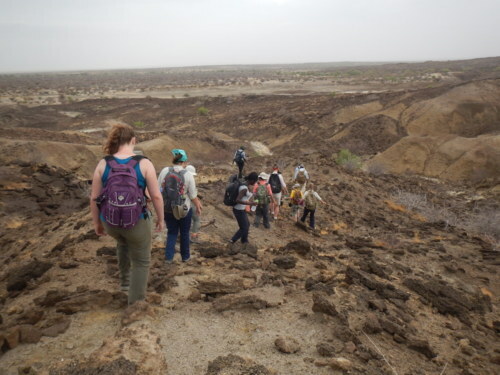 The students descend into this stream bed for an easier surface to traverse. 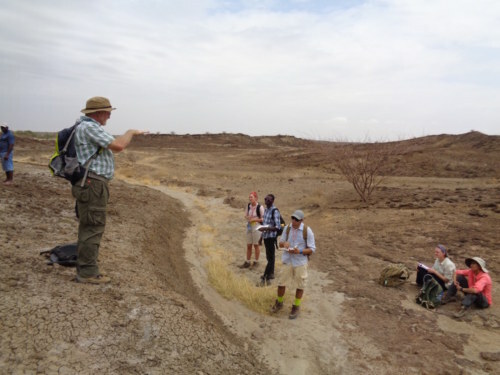 Prof. Martin tasks students with finding sedimentary structures in this area. Esther and Millie discuss what they see in the sandstone bed below their feet. Emily sitting on a dipping sandstone bed. 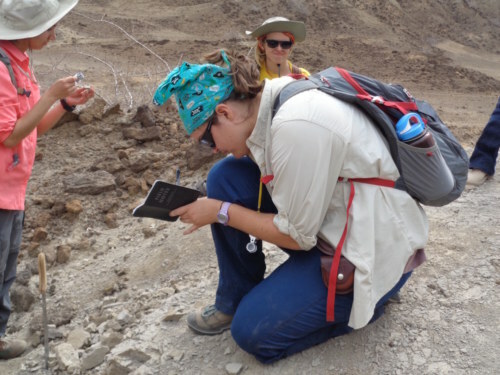 Morgan takes notes as Carla prepares to use her hand lens to get a better view of individual grains in this tuff deposit. Dr. Davis discusses strike and dip as it relates to our surrounding environment. Jon takes the dip of this surface under the expert tutelage of Dr. Davis. Professor Martin leads the students along a winding path through the hills on their way to see a sediment dyke. 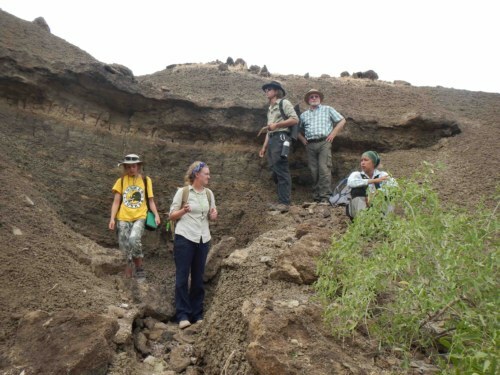 Dr. Henkes and Professor Martin admire the dipping geology of this gorgeous area. 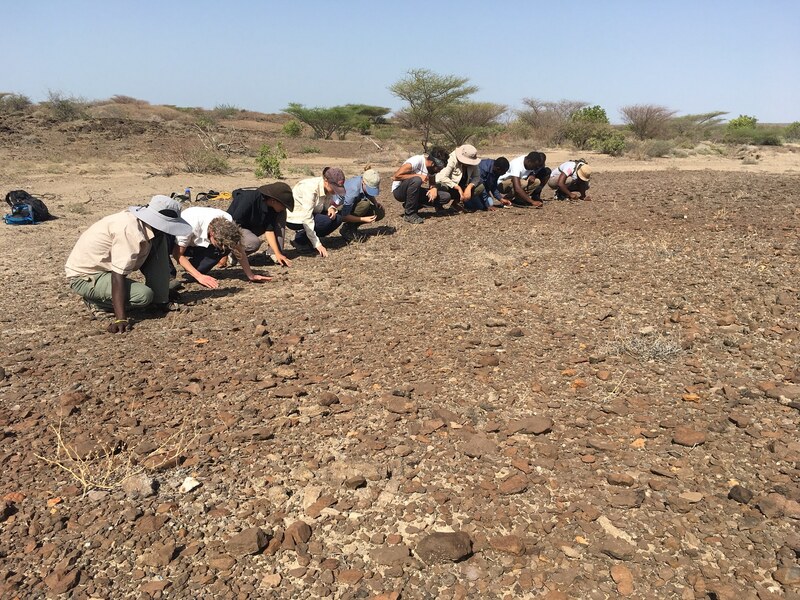 The students investigate the mudrocks and determine it was the location near the Paleo-Omo delta but far within paleo-Lake Lorenyang. Aforementioned wall with small, fibrous anhydrite precipitated minerals and iron oxide (rust) and manganese oxide weathered surfaces. 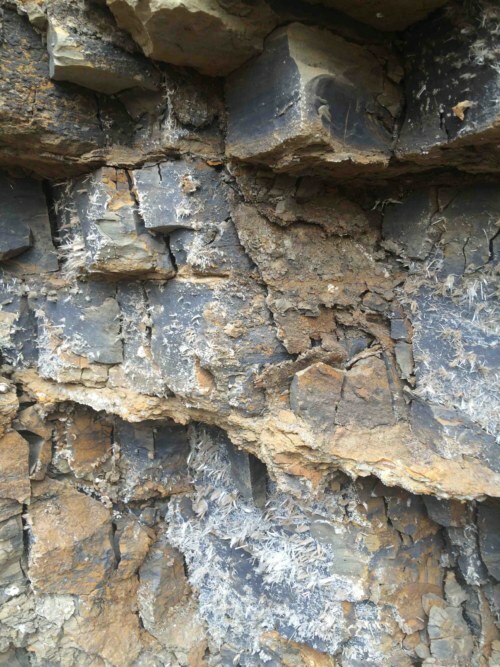 Also note the regressive phase of these lake deposits from deeper water mudrocks to a sandstone with mollusks. 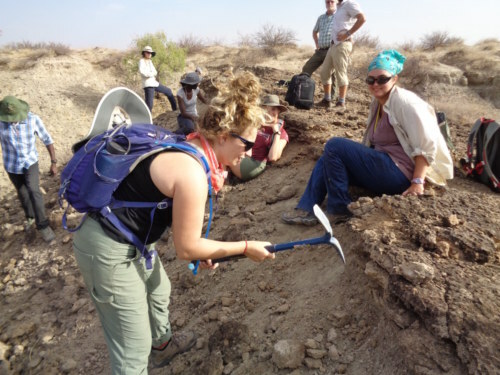 TA Jayde and Danielle discuss this exposed bed of the Koobi Fora Tuff. 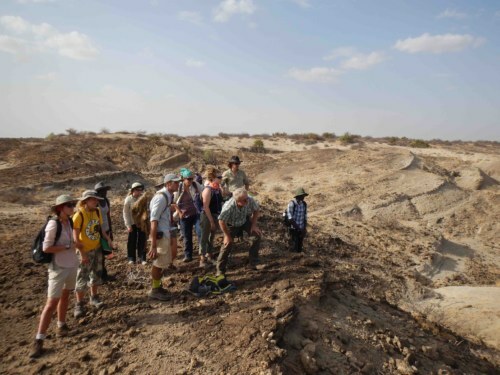 Prof. Linda Martin and Dr. Henkes discusses the formation of this stromatolite bed. 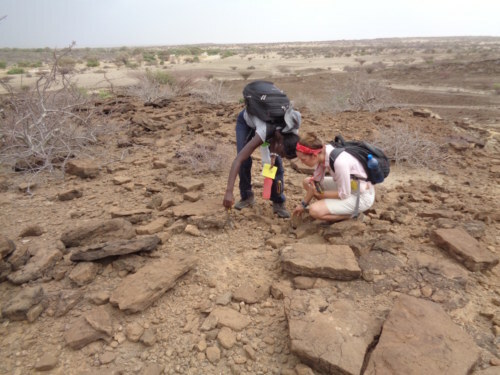 Kathryn uses Dr. Henkes paleopick in order to pick out stromatolites/algal biscuit. 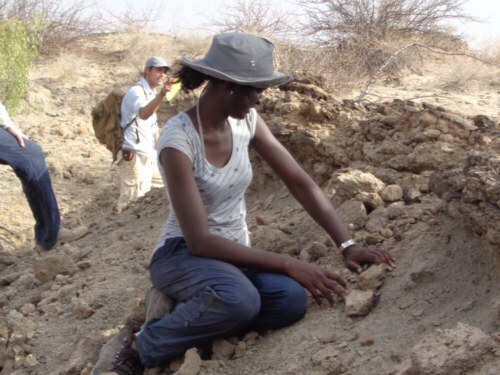 Esther tries to find a good stromatolite. Tobias beams as he takes notes, overjoyed to be able to study in such a beautiful environment. 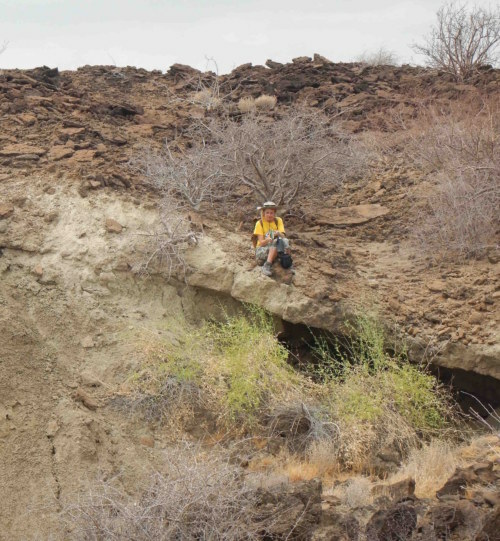 Dr. Davis leans with the dipping structure they stand atop as he leads a discussion concerning the structural geology of the dipping beds. 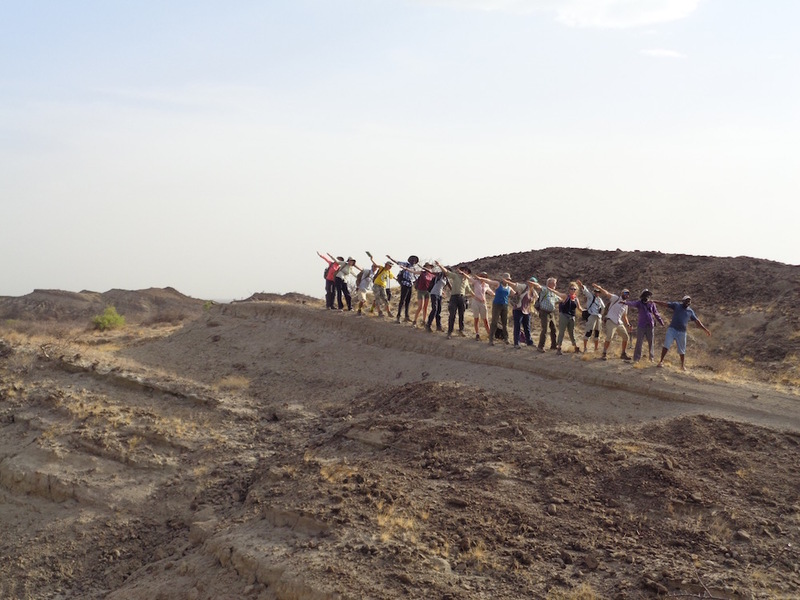 Students, professors, and field assistants Sale and Mwan’gombe embrace the dip as our day in the field winds down. 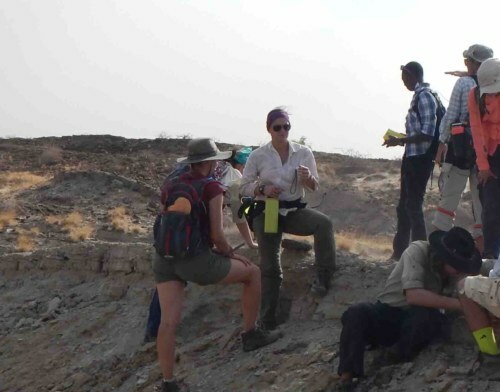 Professors and TAs during the Geology module. A group picture to mark the final exposure the students had to investigate during the geology module. 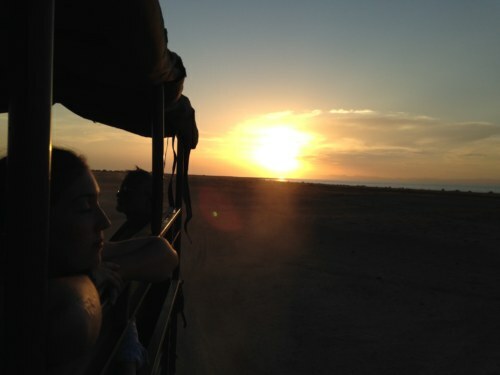 The sun sets with our hearts as we head back to camp for the last time, ending our geologic adventures at Koobi Fora. Millie closes her eyes as she reflects on the last couple of days.